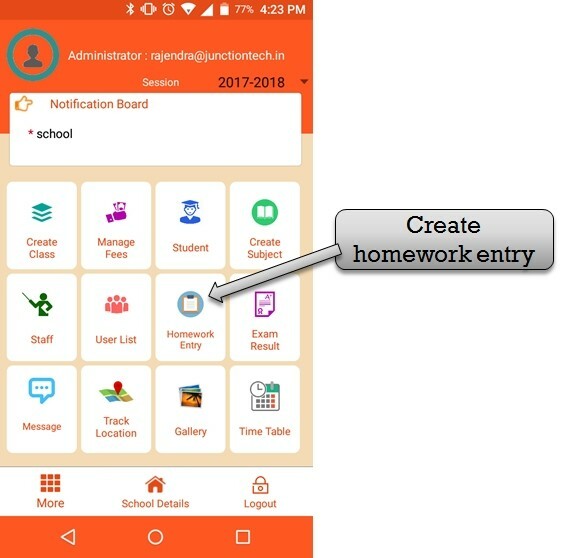 step:1st -ZeroERP School management App Software - You have to create homework for student please select homework entry option. 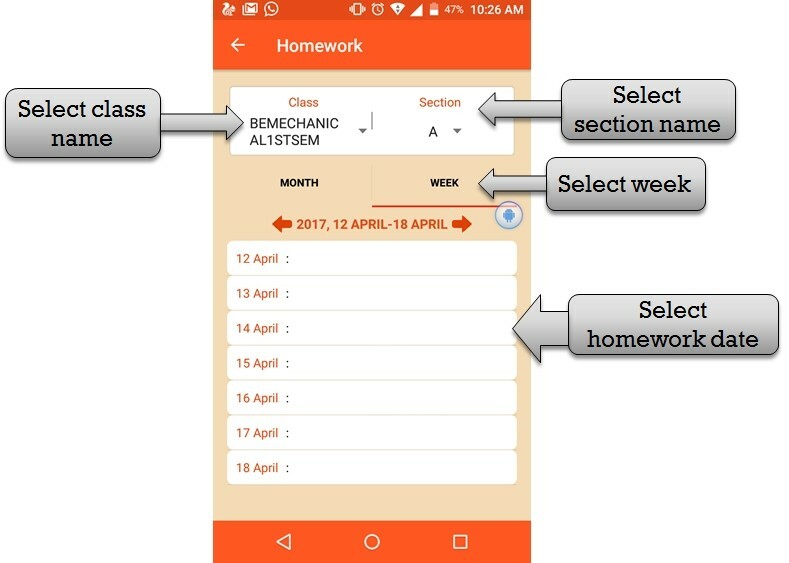 step:2nd -ZeroERP School management App Software - Create homework for student weekly then you have to select week option then select class name and section name . 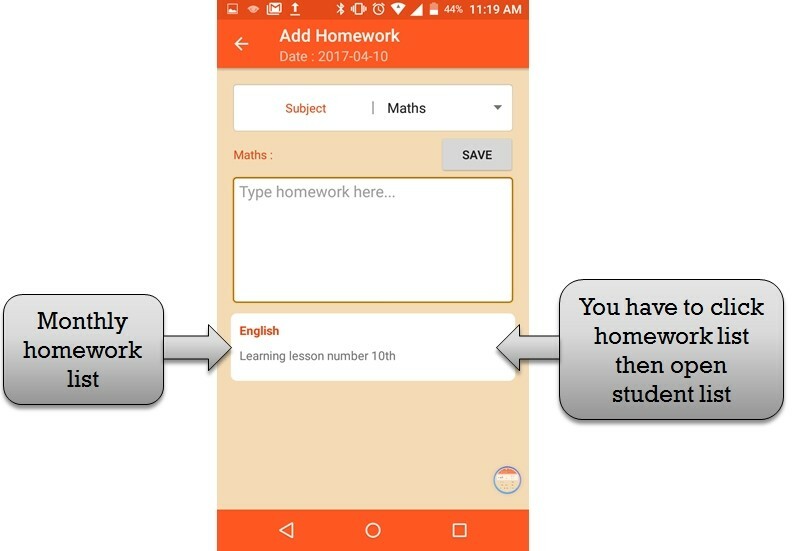 please select homework date and create homework . 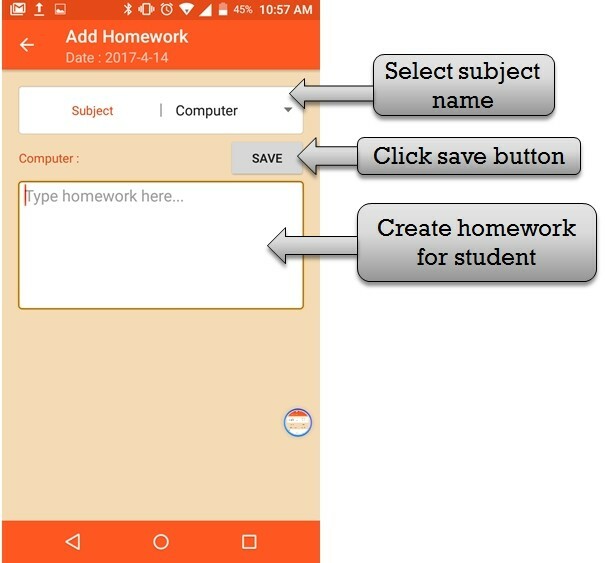 step:3rd -ZeroERP School management App Software - Add new homework for student weekly please select subject then create student homework and click save button then student homework create save . 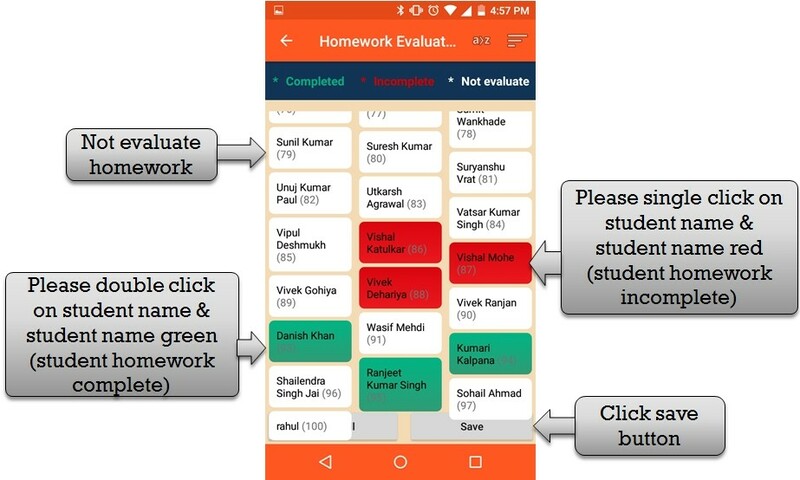 step:4th -ZeroERP School management App Software - Listing all homework list then you have to click homework name then open homework assign student list . step:5th -ZeroERP School management App Software - Show all student list then you have to fill student homework status . single click on student name then student name color red and double on click student name then student name color green . click save button and student homework status save successfully . 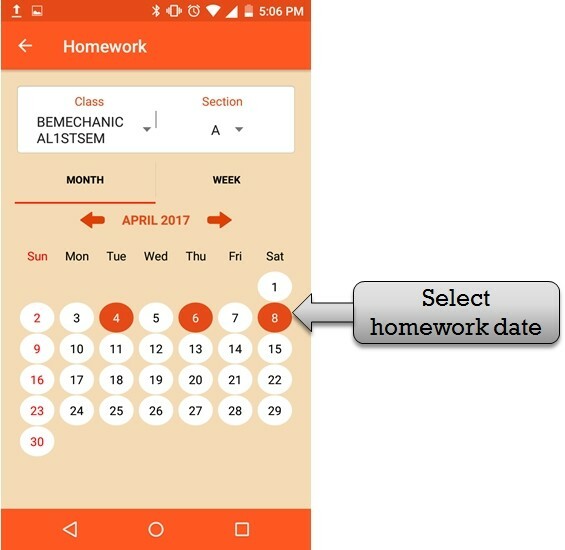 step:6th -ZeroERP School management App Software - Weekly homework list show then you have to create more homework same date please click homework date then open add homework form . 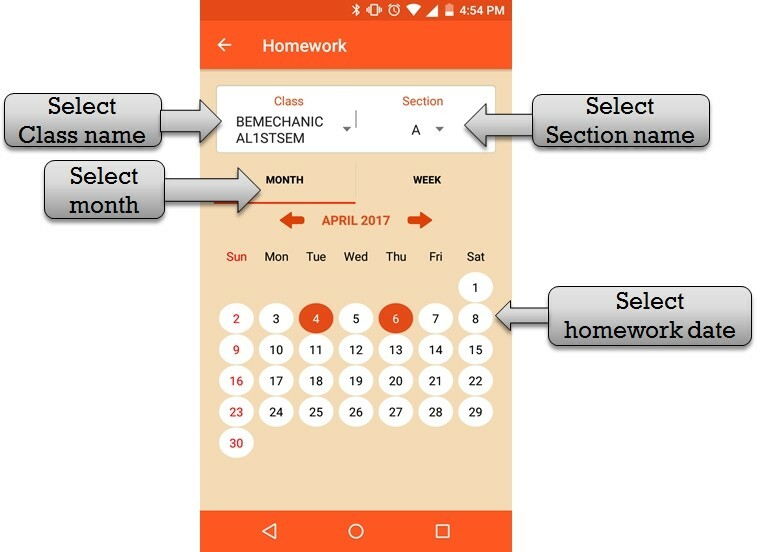 step:7th -ZeroERP School management App Software - Create homework for student monthly then you have to select m option then select class name and section name . 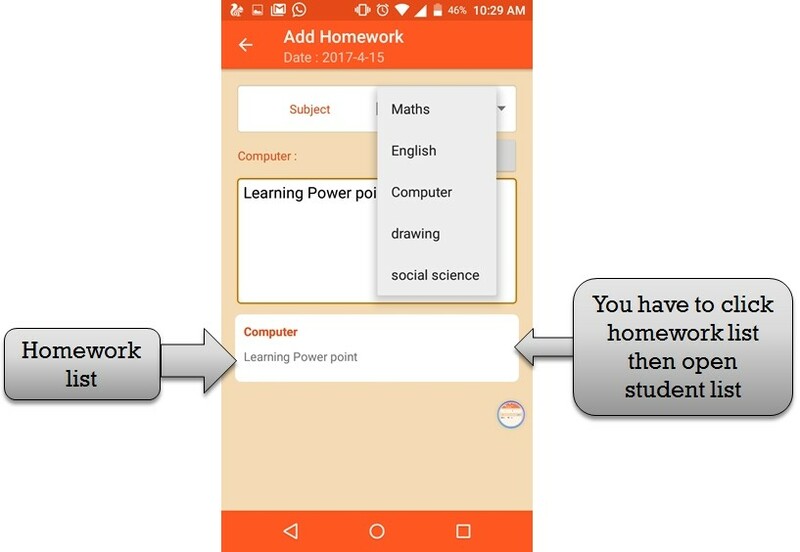 please select homework date and create homework . 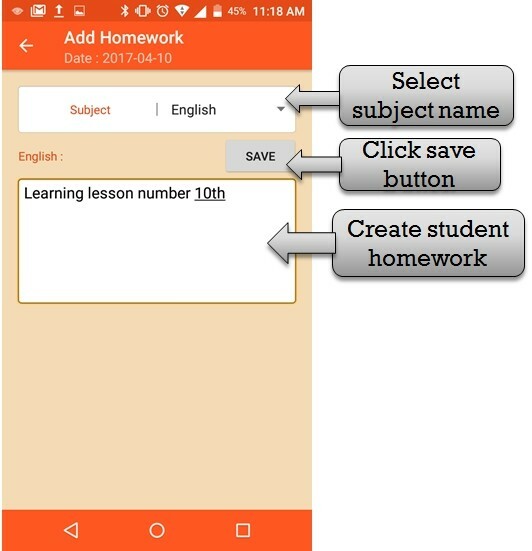 step:8th -ZeroERP School management App Software - Add new homework for student monthly please select subject then create student homework and click save button then student homework create save . step:9th -ZeroERP School management App Software - Please click homework date then open monthly homework list . 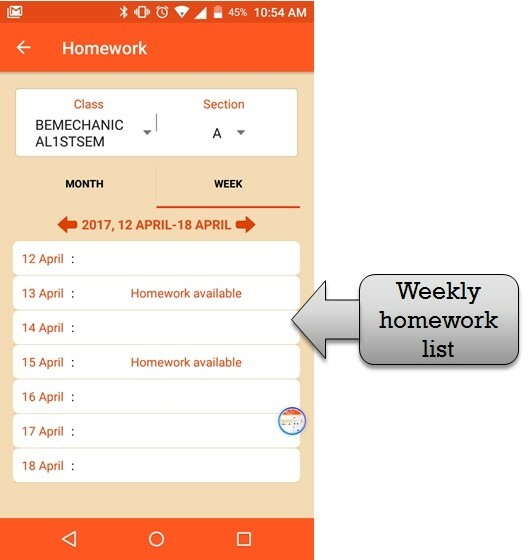 step:10th -ZeroERP School management App Software - Listing all homework list then you have to click homework name then open homework assign student list . step:11th -ZeroERP School management App Software - Show all student list then you have to fill student homework status . single click on student name then student name color red and double on click student name then student name color green . click save button and student homework status save successfully .